that, if the milling table swivels, that the milling table is “square”. The workpiece must be parallel to the milling table. This can be done using a dti. Setting the axis of the workpiece to be in the same plane as the axis if the vertical milling spindle. 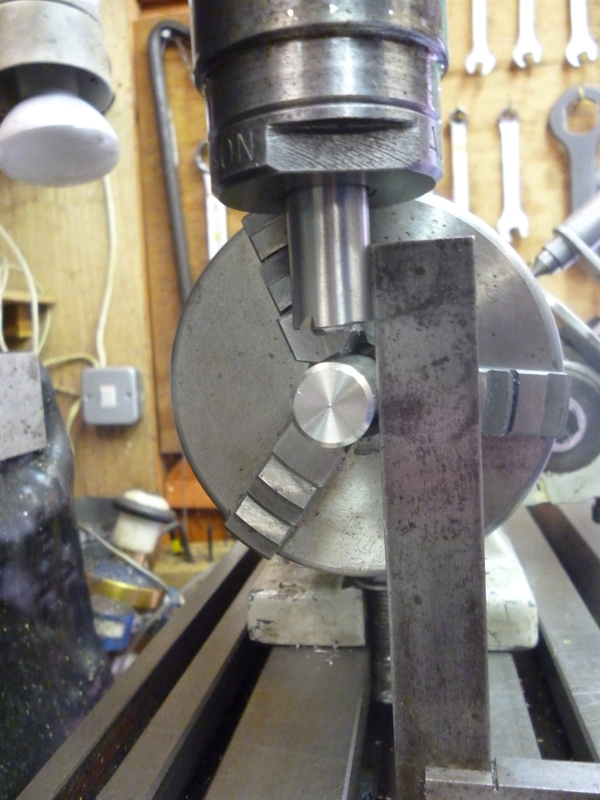 One simple way of doing this is to fit a standard spigot in the milling chuck. Another spigot ot the same diameter is fitted in the chuck of the dividing head or rotary table. If an Autolock type chuck is being used then the spigot must have the right thread on it. This can easily be made by taking a long series endmill and grinding the cutting parts off it. The other spigot could be a precision ground piece of rod. But the endmill will be very slightly narrower than the precision rod. A piece of rolled rod might be found to match the endmill better and this is what matters. 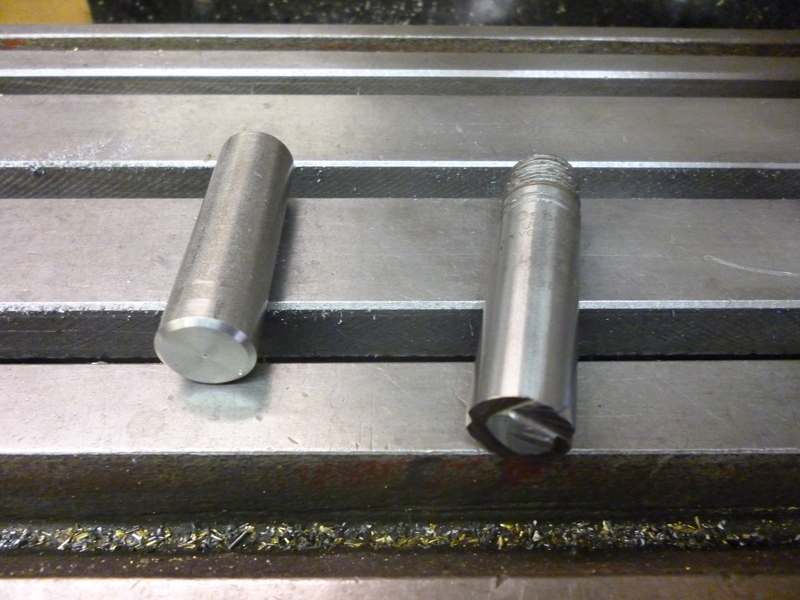 With the two spigot fitted to their chucks they are aligned using a square mounted on the milling table. What is so good about this method is that it works whatever the diameter of the cutter that will be used or the diameter of the workpiece. So the two spigots are all that will ever be needed. Notice that no measuring or calculations are needed.